A Pittsburgh Plumber’s mission statement has been clearly defined in our How A Pittsburgh Plumber Got it’s name post. I wanted to elaborate on what makes plumbing so interesting to me and why I get so much fulfillment from this kind of work. 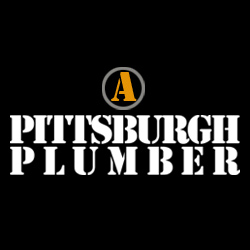 First and foremost I love the plumbing business because I get a chance to travel all over Pittsburgh and meet a wide range of diverse people. Some of the conversations I’ve had while completing plumbing projects have surprised me at the depth of experience our customers have on such a vast subject base. Our fair city is changing and I’m encouraged at all the influx of talent from all over the country and beyond. I get a chance to meet folks with skills on subjects from education to nursing to the latest news on our veterans. This is ultimately why I love the plumbing business. But wait there’s more. Much more… Thanks Matt, Jen and Ed to name just a few of the people who’ve helped to enrich my life. The science behind plumbing interest me. In Allegheny County our plumbing codes are some of the best in the country. The Plumbing Division does a fine job ensuring the safety of the public and rarely do you hear about accidents or illnesses related to plumbing issues. Plumbing materials are almost space age now. Europe is ahead of the US in plumbing and heating materials and technologies but we are starting to adopt greener and more responsible habits as a nation. This is bound to continue as prices for natural gas, electric, and water increase. We embrace the technology and try to implement new materials when we can. Plumbing products, like the materials they are made from, have evolved and become better. Products available to plumbers now have matched the materials in evolving into more efficient and greener applications. Conservation and safety are always at the forefront of a well designed plumbing system and we recognize that. The constant challenges associated with identifying plumbing problems and prescribing viable code-conforming solutions keeps me interested. I’m the kind of person that needs constant challenges to stay sharp. The troubleshooting of plumbing systems provides that very thing. Any seasoned plumber will tell you that they learn constantly. Finally, the satisfaction I get when a customer’s plumbing problem has been resolved only fuels my desire to do more. I have been in a position to help numerous people over my career and I truly enjoy it. Thanks to all the past and continuing customers of A Pittsburgh Plumber and to our potential customers of the future I look forward to meeting you and completing some jobs in the same manner I mentioned above.